For half of their innings, Sri Lanka really did look like a side that wanted to bat first, as their captain had said at the toss. For the rest of it, each player was lapping the other back to the pavilion. From 139 for 1 in the 25th over, they careened to 216 all out, collapsing in a heap to the considerable wiles of... Kedar Jadhav. The part-timer - who has previously been brought on as a last resort - was indecipherable... bowling non-turning offbreaks. Considering only weird things were happening in this match, there was a fair shout that India would muck up a straightforward chase. But that's when normal service resumed. 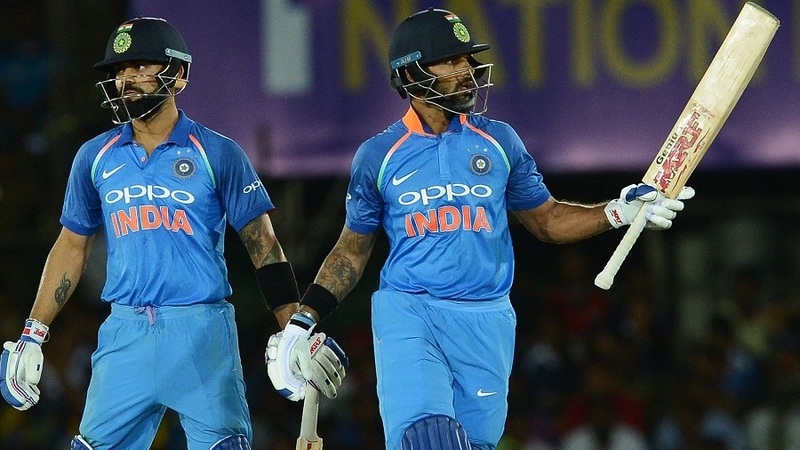 Shikhar Dhawan struck his sixth successive fifty-plus score against Sri Lanka and carried on to make his fastest ODI hundred, off 71 balls. He alone hit more boundaries (23) than the entire opposition (20), pulling merrily, cutting anything he deemed short, and reverse-sweeping if only to feel the rush of a proper contest. He was the bulldozer and Sri Lanka were a helpless, dilapidated old building.